Metro Mold & Design is an innovator in the injection molding industry, continually seeking to improve upon current molding processes. 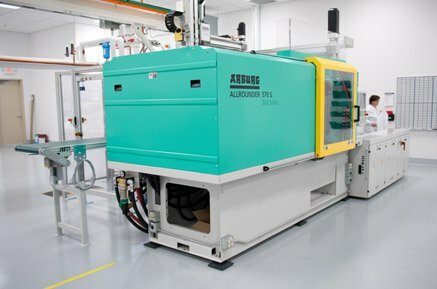 With our broad range of manufacturing capabilities and sophisticated machinery, we are leaders in accurate, tight tolerance, rapid injection molding projects. We offer fast-turn injection molding with virtually no restrictions on design. 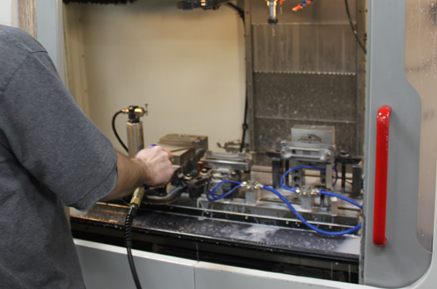 We have two fully-equipped facilities with state-of-the-art machines to reliably produce custom plastic injection molding of small to large molded parts. We thrive at fulfilling high-volume, low-mix injection molding opportunities with maximum efficiency while never compromising accuracy. Just like many other manufacturers, we’re capable of doing these two basic molding operations. However, at Metro Mold & Design, we have found new ways to apply them. By utilizing our broad and unique perspectives, we discover innovative ways to utilize thermoset and blow molding to push the limits of exactness and precision, achieving far tighter tolerances for a single process than are typically found anywhere else. Our broad expertise in thermoset and blow molding enables us to develop innovative technologies by accurately choosing the right equipment for the right application, offering secondary operations both in-line and off-line, based on customer requirements. We work with a variety of thermoset compounds and can work with your engineers to develop the right molding process to achieve your desired results. We also have the equipment to tackle applications from 80 to 800 tons.